Emerging Ibiza, the exciting music and artist discovery platform, is now announcing its 2015 Experts and Wild Card competition with Capital XTRA, where the best new artists are given the chance to play the EI Festival alongside DJ Coco Cole and get signed to EI music. 2015 sees a new and exciting line-up of EI Experts picking the hottest emerging artists and up first is Bill Patrick, a DJ so talented that he has never even produced a record. Instead he just plays around the world from Fabric to WMC, locking dance floors into his underground grooves. Next comes Visionquest, the Berlin based, Detroit raised techno label that is run by Shaun Reeves, Ryan Crosson and Lee Curtiss – truly influential DJs and producers who have very much defined the scene over the last five years. Each of these stars will pick their own talents for 2015’s Emerging Ibiza. Then to Darius Syrossian, who knows house music inside out. As a DJ who is resident for Tribal Sessions he has played some of the world’s biggest parties, whilst as a producer he releases on Moon Harbour, Hot Creations, Roush and many more. Next up is Shlomi Aber, a tech house titan who runs his own Be As One label and EI is proud to welcome foremost Spanish DJ, Dynamic label artist and Reverse Ibiza resident UNER. Also on hand to put their musical discovery knowledge to good use are DJ Mag’s Club’s Editor and All Star DJ Adam Saville. EI is proud to welcome Ibiza resident & legendary Sankeys club owner David Vincent plus the influential Pacha Press Officer Rafa De Sira, who also runs a label nurturing young Spanish talent. Capital XTRA DJ and new music champion Coco Cole is an exciting addition to the 2015 roster of EI Experts. Coco will be headlining at Ocean Beach on the 28th May as part of the EI Festival. We are delighted to welcome back 2014 stalwarts Tillie Wood and Callum Reece, who are behind Mixmag TV and so are responsible for unearthing the world’s best DJs ahead of the curve. 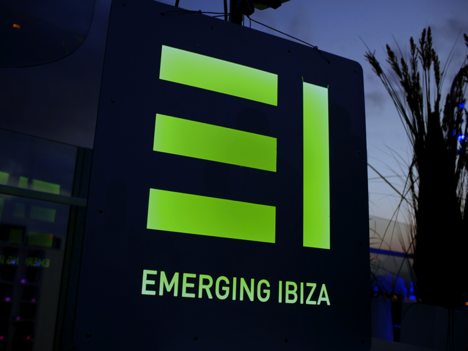 Aside from these huge names from the DJ and media world, EI is enlisting a wide scope of Ibiza legends and hard working behind the scenes men. Up first, Alex Montoya is one of Spain’s biggest promoters and artist managers who runs Ibiza night Reverse, and looks after acts such as Uner and Christan Verela. Chris Bones is the Ibiza party legend who has been on the island for a number of years and has seen many talents come and break the big time, so his expertise are invaluable. Danny Whittle who runs the IBZ Entertainment management company and is ex head at Pacha as well as being a partner in the IMS returns alongside Yann Pissenum, Creative Director of Ushuaia and who run his own night, ANTs. These experts each select the best Emerging Artist, DJs and producers from the worlds of house and techno who they think deserve a place on the world stage. Over the course of the week long EI Festival 26th – 29th May the Emerging Artists perform in Ibiza clubs from Ibiza Rocks, Zoo Project, Ocean Beach, Sankeys and Ushuaia Tower. Last year, crowds were 2000 people strong, so this is a fine opportunity to get a proper taste of major league clubbing for fast rising talents. EI holiday tickets including EI Festival pass are available now at the special low price of just £139 with 4 day 6 event Festival passes at £99. To keep in the loop, find out more and hear about this year’s experts and talents first, tune in to EI’s social media channels now!